I’ve already blogged here about how, when it comes to all things photography, I like to think of myself as a simpleton, the kind of guy who just likes to take pictures, look at pictures & read up on all things photography. As a result of the latter I know what constitutes picture sharpness but I don’t necessarily strive for it – I like a good blurry picture just as much as one perceived to be tack-sharp. So I’m not a pixel peeper. Or at least I wasn’t until today when I found myself pixel-peeping. Pixel-peeping pixels no less. One thing led to another & before I knew it I was conducting another experiment to verify something everyone already knows – that all things being equal a prime lens is generally sharper than a zoom lens. a) A photography n00b who erroneously believes that the quality of a digital camera is determined solely by the number of megapixels. b) Insecure troll who frequents digital camera forums to religiously proclaim how his/her camera pixel count is greater than yours. c) Wanna be photographer who debates about pixel count all day but doesn’t have the talent to take a half-decent photograph. I grow tired following the thread of verbal diarrhoea left behind by that pixel peeper. Why don’t you pixel peepin’ trolls get some sunshine this week and take a photograph or two? I guess I was bored. You’d have to be. I was sitting looking at my computer screen when the notion struck me to take a picture of it. I don’t know why but it just happened. So I did – take a picture of my computer screen that is. My laptop login screen. It’s HD, no less. With over a million densely-packed pixels who needs an ISO 12233 test chart? Picture taken with a Canon 50mm f/1.8 II lens at f/7.1, 1/80sec & iso640. I then zoomed, or peeped, at the picture on my camera’s LCD screen and liked instantly what I saw – proof, if proof were needed, that this photography simpleton is easily placated. 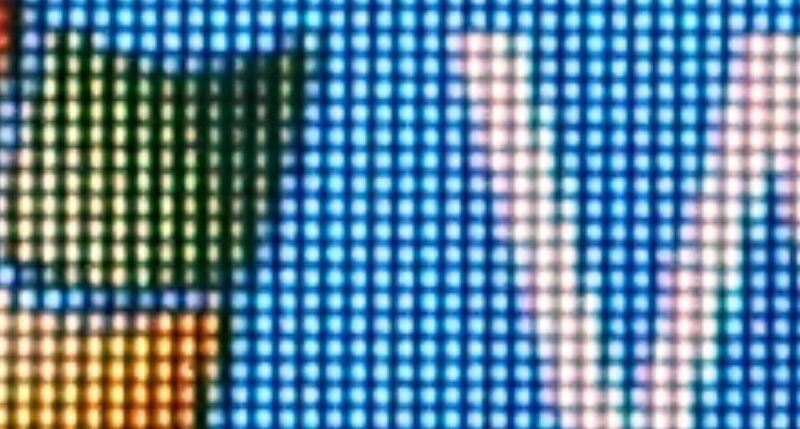 I was pixel peeping pixels, some of the 1,049,088 pixels that make up the 1366 x 768 pixel, high definition resolution display of my laptop. 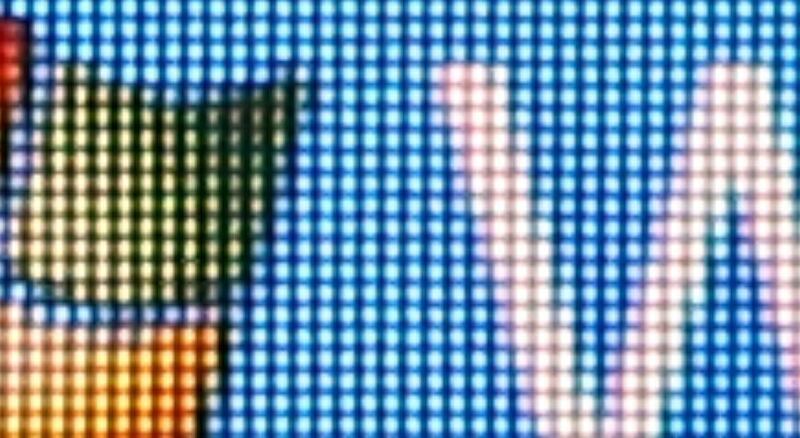 Of course high definition or not the 5184 x 3456, 18 megapixel (17,915,904, 4.3 micron pixel pitch pixels to be precise) CMOS sensor in my camera will easily resolve that kind of pixel density, even if using poor glass in front of the sensor. So upon reflection what I was seeing – neatly ordered, almost hypnotic rows of illuminated pixels – wasn’t really a surprise. But it was still visually stimulating, & it looked even more visually stimulating when I stuck the picture in Picasa, this simpleton photographer’s image organiser, viewer & editor of choice, & zoomed in to 400%, or about as far as Picasa would take me. The above picture was taken with my Canon 50mm f/1.8 II lens. That lens has a reputation for being sharp – after all it’s a prime lens & they are supposed to be sharp, sharper than zoom lenses, even primes with sub-$100 price tags like this one. So looking at all those resolved, neatly ordered and warm-glowing pixels I then wondered how – & under, insofar as I could ensure, similar DIY photography testing conditions – my 28-75mm Tamron zoom lens would fair resolving the scene in comparison to my 50mm Canon prime lens. The way I see it this would be a somewhat accurate comparison of the resolving abilities of both lenses at 50mm. Why? Well because sharpness is made up of acutance (basically the perceived sharpness of edge transitions between two black & white lines) & resolution (the smallest detail a lens can resolve). Acutance can be improved in post processing, resolution cannot. So considering I don’t post process my images then this would seem like a fair, all be it crude, shootout of the resolving ability of both lenses (that’s how I see it anyway – anyone with more in-depth knowledge of this stuff who’s maybe reading this now and pitying my simpleton ignorance is welcome to set me straight by commenting below). I switched the mode dial on my camera to M & set the shutter at 1/50sec, the aperture at f/9.0 (in the so-called sweet spot region of f/8.0-f/11.0 for most lenses) & the ISO to 640. 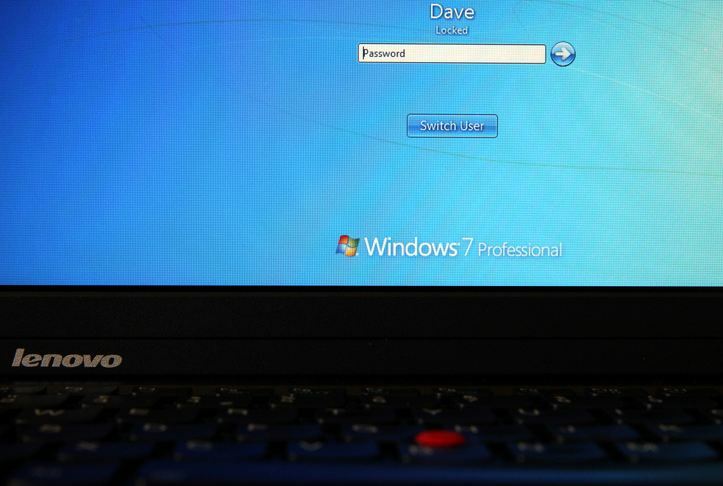 I put the camera on a 2-second timer, activated the extra-sensitive center, cross-type autofocus point & focused it on the logo of the Windows 7 login screen (I decided against manual focusing in Live View mode because quite frankly I couldn’t have been bothered). With my 50mm lens attached I then took 3 pictures from the closest possible auto focusing distance before swapping over to my Tamron lens at 50mm & capturing 3 more images at the same distance from the screen – the close focusing abilities of the Tammy lens meant I had to set the camera distance from the screen by using the Canon lens first (I wouldn’t imagine that any of this is conforming to anything like industry testing standard protocols but bear with me here). Below is a screen grab from Picasa at 400% magnification/crop/zoom (take your pick) of the best of the images produced by each lens. It’s probably hard to tell from the screen grabs as shown here but on the full resolution versions it’s clear that the Canon is sharper; in layman speak there’s a more defined gap – less fuzziness – between adjoining pixels on the Canon image. That said I’m at 400% zoom here so really there’s very little in it (the term splitting hairs immediately comes to mind). All this means I’ve probably developed an even deeper appreciation for my awesome Tammy lens as a result of this random escapade; at 50mm, roughly the middle of its focal range, it seems to be almost as sharp as my 50mm prime, something I have noticed in everyday use. So there you have it. Following on from my ground-breaking ‘Eureka! IS Works’ revelation, my latest photography test also serves to confirm something everyone already knew – that primes out resolve zooms, or at the very least in the dMb photography universe my 50mm prime out resolves my Tamron zoom. Q.E.D. Update – February 20th, 2012. I mentioned above the likes of sensor pixel density & pixel pitch (size). If you want to read up on how these variables tie in, or not as the case may be, to the likes of image noise, depth of field (dof), diffraction etc., then you could do a lot worse than to read this awesome blog entry from lensrentals.com.